Tomorrow, Alien Robot Monster is releasing a third colorway of their super popular M.U.S.C.L.E. style Stranger Things mini figure set! For this release, Eleven and the Demogorgon will be cast in light blue soft, rubbery keshi material. This set will come packaged in a re-sealable blister card with a full color insert. 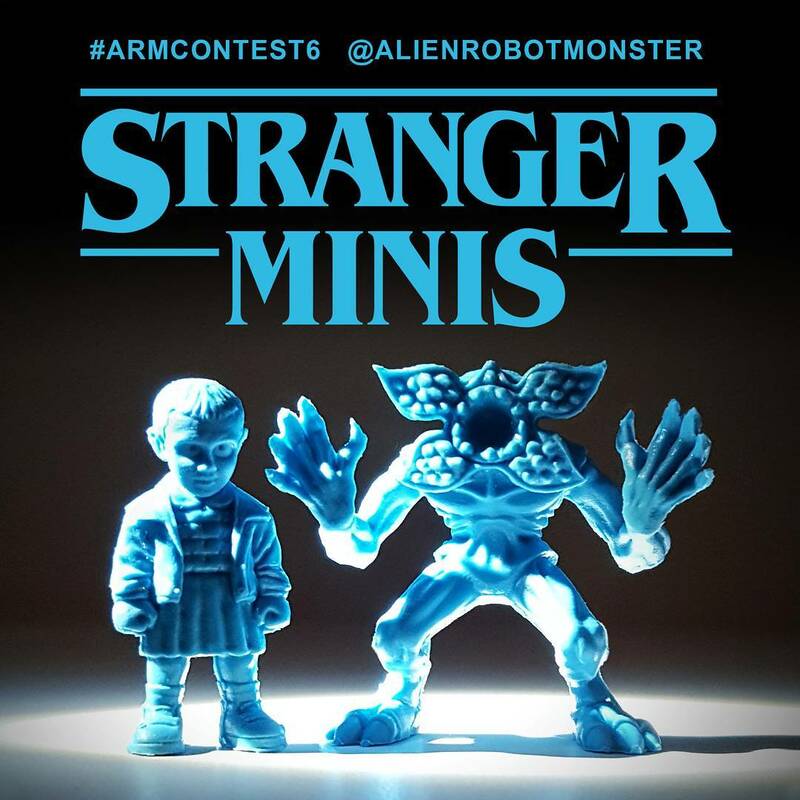 The Light Blue Edition Stranger Things “Stranger Minis” Keshi Figure Set goes on sale at 3pm EST on Sunday, April 23rd, at the Alien Robot Monster online store for $33.